“Young people will be the torchbearers” of this vision of “inclusive and shared prosperity” grounded in a “human right” to have the State ensure that “social needs” are met, enforceable under the rule of law (reimagined just like federalism). Not interested in having the UN declare that your life must be transformed? Nobody intends to ask any of our permission. The world simply needs “more effective governance and capable and capable institutions, for new and innovative partnerships, including with responsible business and effective local authorities, and for a data revolution.” That last, of course, gets provided both by the digital learning mandates and by the Internet of Things and social media. That’s probably why how to gather and use all this data for new kinds of governments was the focus this week for yet another get together we were not invited to. https://www.thegovernmentsummit.org/en/knowledgehub.html Ban Ki-Moon was there though and so was Sir Ken Robinson making sure the global vision of “quality learning for all” remained on track. Expensive Consultants were there and ready to advise governments and discuss the “key role of business” in satisfying these global plans. “Companies are ready to change how they do business and to contribute by transforming markets from within and making production, consumption and the allocation of capital more inclusive and sustainable.” Nobody asked us, the existing customers and taxpayers. I guess existing Big Business knows whose hand will be feeding it in this vision for managing our economies to meet human needs. When the UN is officially calling out to local authorities and Business and stressing the desire to accomplish these plans for transformation by “aligning private action and public policies,” it’s really hard for me not to read this America Next vision of what is supposed to be the ‘conservative’ vision of K-12 education with its emphasis on the local and private providers through the broader intentions. http://americanext.org/wp-content/uploads/2015/02/America-Next-K-12-Education-Reform.pdf was released this week. It is chockful of global Terms of Art like “high-quality standards” for all that fits right into Ban Ki-Moon’s Road to Dignity by 2030. All being done with language about free enterprise, a local government emphasis, and the money following the child. The UN laid out in a 2014 World Economic Forum report it co-wrote on its Post-2015 plans that vouchers were the global means for accomplishing its education agenda. We should take them at their word. To turn our young people into the desired torchbearers would be another way to put it. 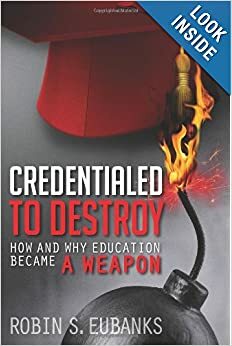 Seeing regulation via “one of the many well-regarded private accreditation agencies” as the answer for private schools to keep their autonomy despite the influx of public money is either deliberately deceitful by whoever wrote that paragraph or it indicates a woeful ignorance by the report’s authors of the nature of accreditation and its links to the UN System. Talking in terms of a “public safety net, a minimum standard of sustenance beneath which citizens guarantee no neighbor will fall” is to accept the UN and Karl Marx vision of an enforceable obligation to meet human needs. In other words, in language about limited government, that report actually accepts the entire premise of the Welfare State. It’s a ‘conservative’ document that dovetails with the Road to Dignity by 2030 vision and leaves people ready to be blindsided by what is coming from the UN, local and state authorities, and in the name of progressive or polyphonic federalism. If you live in another country though, these same initiatives may be coming at you via what is being called Devolution. http://www.respublica.org.uk/wp-content/uploads/2015/02/Restoring-Britains-City-States.pdf also came out this week. It’s a reminder that when the UN agenda of Dignity for All translates into a right of every geographic area at the local level to experience ‘prosperity,’ we will find lots of local politicians ready to sign up for the vision. The local emphasis makes the broader agenda of transformation harder to see and easier to enforce against both people and places. Ban Ki-Moon is probably not coming to your town to trumpet this 2030 justice for everyone vision. That will be the School Principal or District Super, the mayor or a state legislator, even if they have not yet gone for their CIFAL Network training for Local Actors created by the UN System. (see tag). The Welfare State just put on a new outfit with different names when the rest of the UK decides that no one should have to relocate to London or the SouthEast of Britain to succeed and that local economies and their inhabitants should also have a right to success in terms of “health, education and opportunity.” Politicians apparently believe that basic needs can be met by regulatory fiat. Not likely, but in the US Detroit and Chicago really like this vision a great deal. http://www.corecities.com/sites/default/files/images/publications/Modern%20Charter%20for%20Local%20Freedom_0.pdf Have I succeeded in making everyone wary about hyping the Local as the solution with such plans for transformation swirling around us? Good. A demand out of the UN that “we leave no one behind, ensuring equality, non-discrimination, equity and inclusion at all levels” and a mandate that “we must pay special attention to the people, groups and countries most in need” means that for the vision to have any chance, much of the focus of the actual policies has to be at the local level. The spirit of these demands and mandates is precisely what we are seeing in the ESEA Rewrite we have looked at and also the WIOA (see tag) legislation passed this summer on a Bipartisan basis. It also fits with the vision for Inclusive Capitalism and the NEW American Dream advocated by one of the primary institutions involved in creating the Common Core and the rubrics for what will count as College and Career Ready in the future.The Business Roundtable is also involved to keep the focus on Big Business and academia’s perks. In August 2014 the ACT Foundation published “National Learning Economy The NEW American Dream: Our Vision for Living, Learning, and Working in the Performance Era.” http://actfdn.org/wp-content/uploads/2015/01/ACTF_BrochureRv3_LoRes.pdf Now try to control your shock as it too contains a vision that also has us on that Road to Dignity by 2030. It also sees the answers to the future in “collective efforts” and “collective action”. Individuals now apparently only exist to have their needs met, as determined by someone else, and “their greater life satisfaction” managed for “themselves and their families.” In this Performance Era the role of knowledge is “shifting” lest it interfere with all these plans being made on our behalf. Instead we get the “interconnected factors of productivity, learning, and skills development”. Once again as determined by cooperating politicians and amenable Businessmen to the UN’s plans for us. There’s that word again. Now whose needs will really be met in this Road to Dignity by 2030 vision? The way to avoid being Roadkill is to be aware of all these created pieces and how they fit together. Think of this post as the most useful Valentine we will ever get.